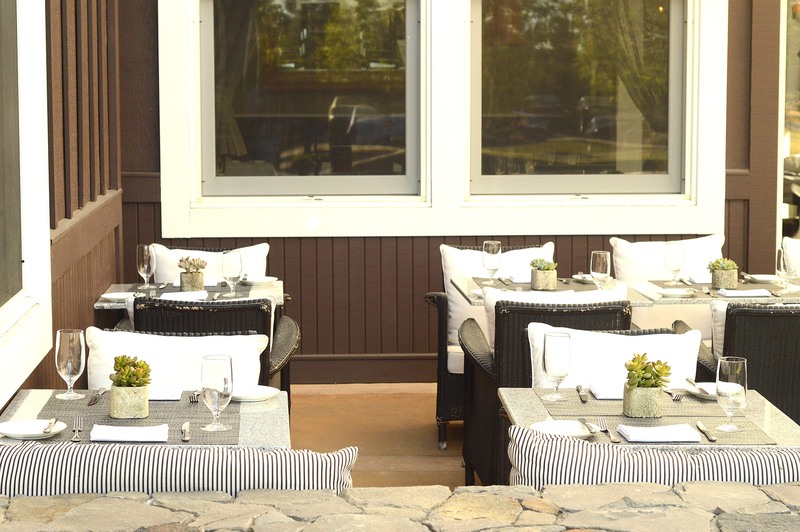 It’s Thursday…which means #tbt… to a recent luxurious meal in wine country. 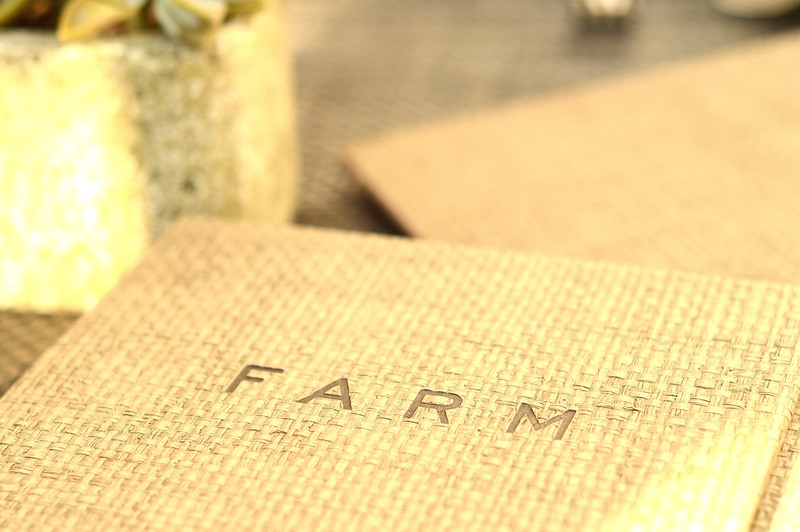 If you’ve never been to FARM restaurant at The Carneros Inn, I highly recommend it. I saved the dinner bill for this meal so that I could remember the delicious glass of red wine I had with my meal. It was that good. The evening started early (a la 5 pm since we had baby in tow) with some cocktails at the outdoor lounge area. With a relaxed atmosphere, comfy sofas, and inviting fireplaces, life couldn’t get any better. For dinner we sat in the patio area continuing to enjoy the warm Napa evening. We ate the full 3 course menu, starting with salads to whet the appetite, then I had the filet mignon while hubby opted for the lamb. Both were superb. We ended the meal with some ice cream (it was still quite hot out at 7 pm) and cappuccinos. All in all, a great experience and we look forward to going back! Happy Tuesday! I hope you all had a long, relaxing weekend. 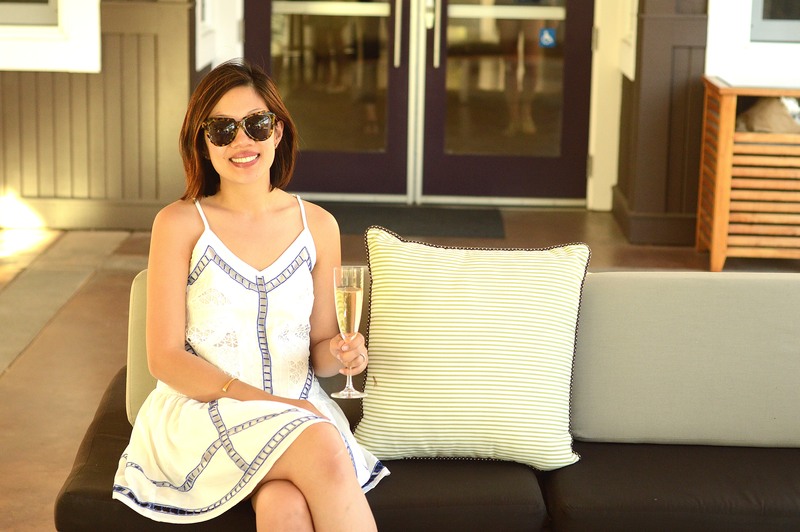 We did our second road trip this summer up to wine country where we stayed mostly in Sonoma. 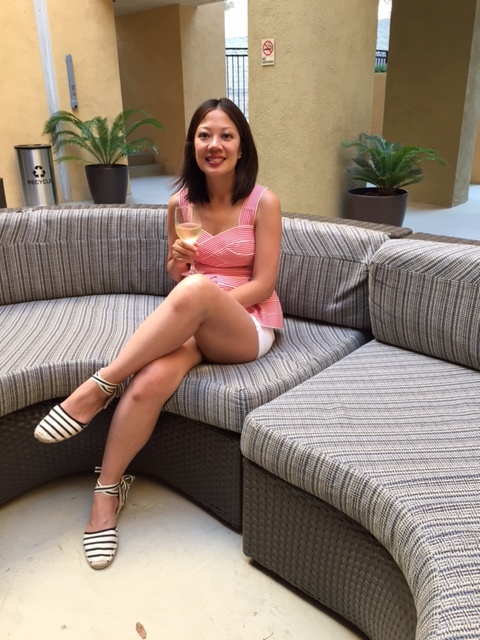 It was a fabulous weekend of wine tasting, lazy afternoons by the pool, and early dinners at some of the best restaurants in the area. These photos were taken during our second day, wine tasting at Gundlach Bundschu. 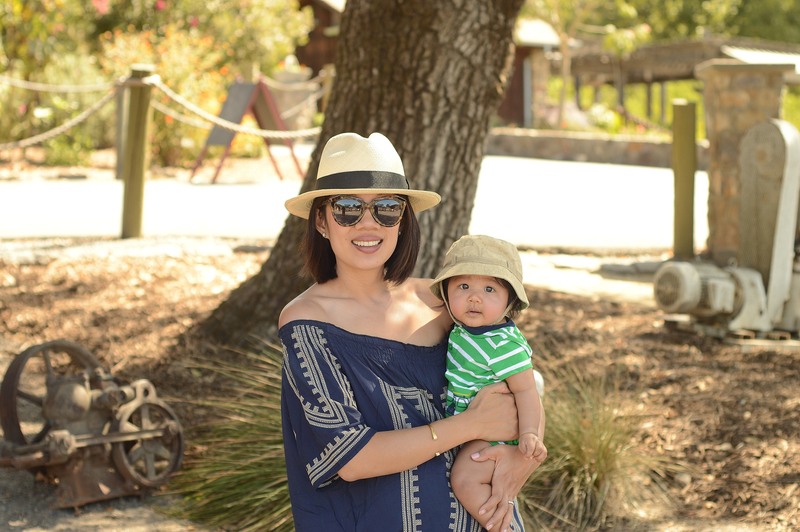 It’s one of my favorite wineries — I love their Gewurztraminer — and our little family of three had a fun picnic on the winery grounds. 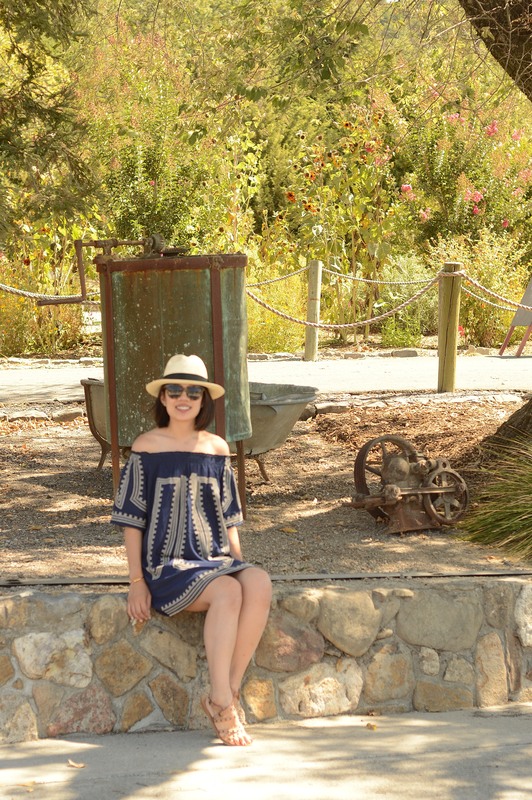 It was a sweltering day (all weekend we were in the 90s) so I kept cool all day in my off-the-shoulder dress from Chicwish. More wine and good food from Sonoma coming up later this week! How was your long weekend? I think it’s safe to say that you can’t own too many pairs of shoes. 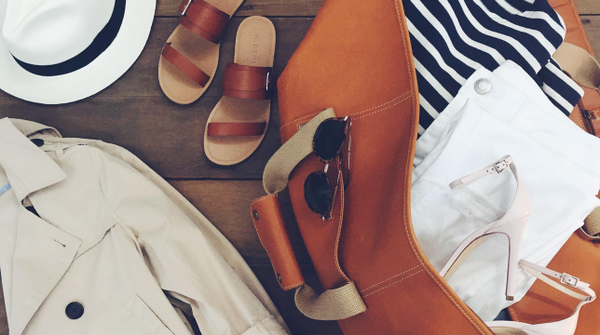 From pointy toe flats to the highest of heels, there’s always a reason to add another pair to the closet. I recently discovered a new company that’s bringing hand-made, beautiful Italian shoes at reachable price points to the masses – M. Gemi. Have you heard of it? I have to say I do like many of the styles I see on their website. All of M. Gemi’s shoes are designed and made in Italy. 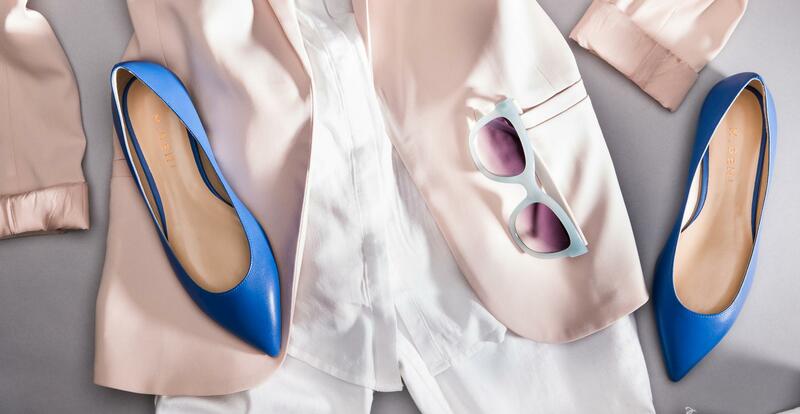 The brand shares new styles every week (in limited quantities) and sells directly to customers, thus allowing for lower prices than other luxury shoe brands. M. Gemi is going for fast fashion — but, where trendy meets luxury. I’m intrigued and just signed up to receive their weekly ‘editions’. No purchases yet, but I will share the experience when I do! Happy Friday, friends! Beginning today, I’d like to start a new segment on the blog called “In the News” which will cover interesting fashion or beauty news that I uncover. Every day there are innovative and fun fashion/beauty-related ideas cropping up all around us and I would love to document them here. At least those I find most intriguing! Recently I read an article in Conde Nast Traveler about Hong Kong’s The Upper House hotel teaming up with Christian Louboutin and The Nail Library (a spa) to offer some amazing packages and discounts for those who are staying at the hotel. Based on the room booked, guests receive a signature “Red Slipper” cocktail, scented candle, and a leather Louboutin card holder, among other perks such as beauty treatments. 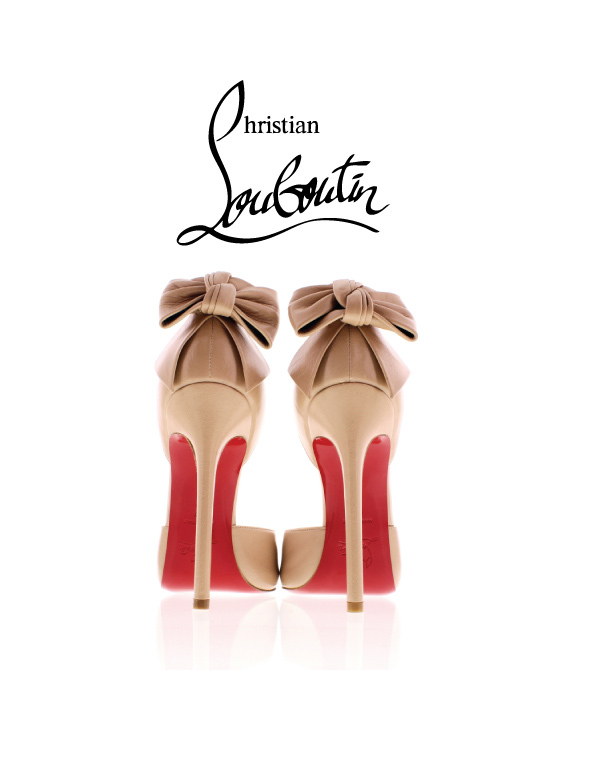 Another package gifts travelers a pair of Christina Louboutin Air Loubi flats. As a fan of the French fashion house and of bustling Hong Kong, this is up my alley. I need to book a trip to Hong Kong, ASAP! Paris is always a good idea. After having visited Paris a number of times, I would like to make the hop south to southern France where the land of chateaux and lavender fields abound. I’m talking about Loire Valley and Provence. Today I’m sharing some recent photos posted on Instagram (espressowithem). Our little family hosted some out of town relatives and also took a short road trip down to Los Angeles. 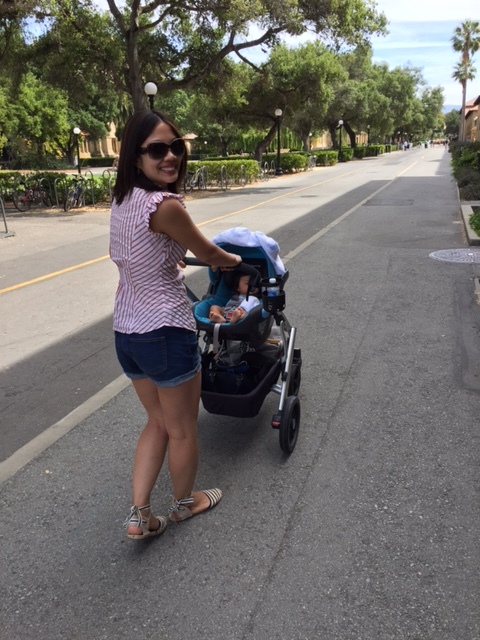 With the warm (actually, quite hot) weather in SoCal and all the moving/packing of baby luggage, I chose versatile pieces to take me from day to night. 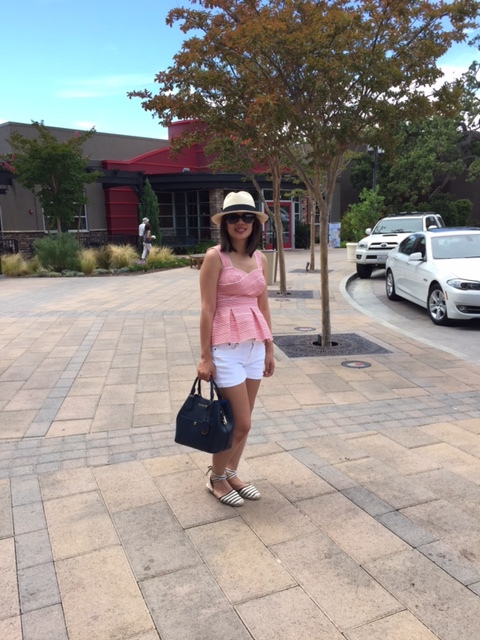 Shorts and easy breezy tops were on rotation all throughout our mini-vacation. With the recent J. Crew sales, I picked up two amazing pairs of shorts that I literally wore all weekend. Hope you’re having a great week thus far! Happy Monday! How are your resolutions holding up these first few days of the new year? Most of us are probably dreading this first day back to work or school…otherwise known as the daily routine. Well, as much as we can, let’s challenge ourselves to make this a fresh start and look at this new work/school month with a positive attitude, one week at a time. Instead of eating lunch at your desk, go someplace new for lunch (and eat something different! ), instead of following the same workout regime as before, try a new class, jog outside instead of at the gym, or go to a different neighborhood to jog. Of course this is all much easier said than done but if we encourage each other and change up the routine, it’ll make this Monday and future Mondays to come a lot easier to wake up to. 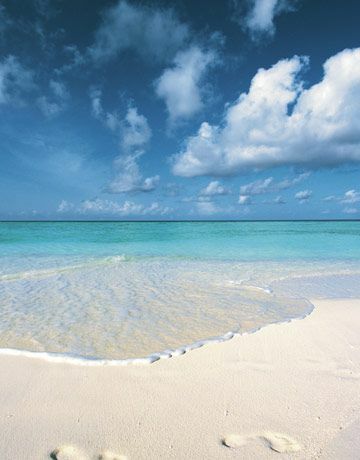 And if you’re still lingering on vacation time, as I may be this particular morning, you may just find yourself perusing through your vacation photos. 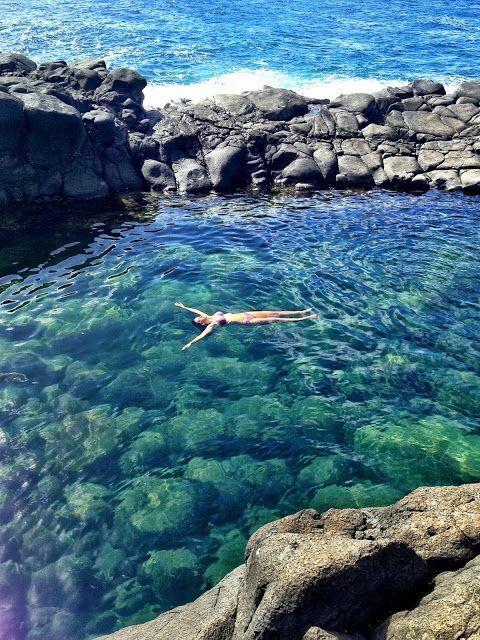 Here are some more from Kauai – enjoy! Lazy afternoons by the pool. 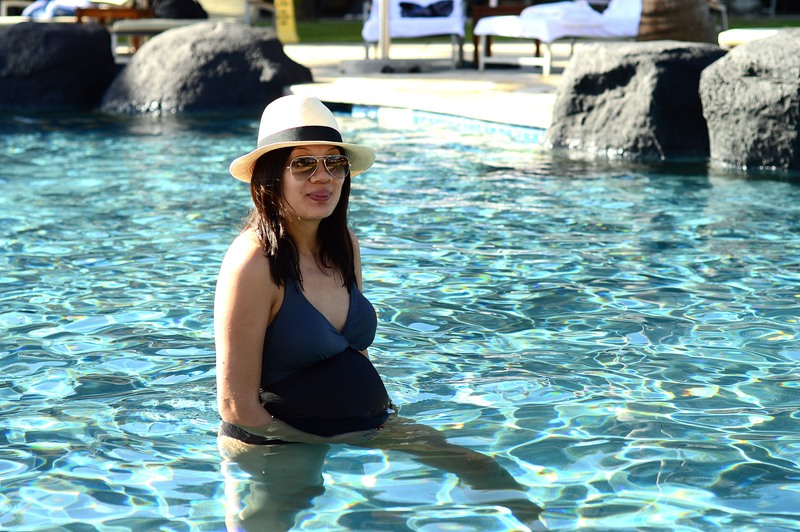 One of the best ways of exercise during pregnancy is definitely swimming and this is something I did every day in Kauai. After a long journey home (including one cancelled flight), we are back from Kauai! Instead of a set schedule and itinerary, we decided to plan our trip day by day. 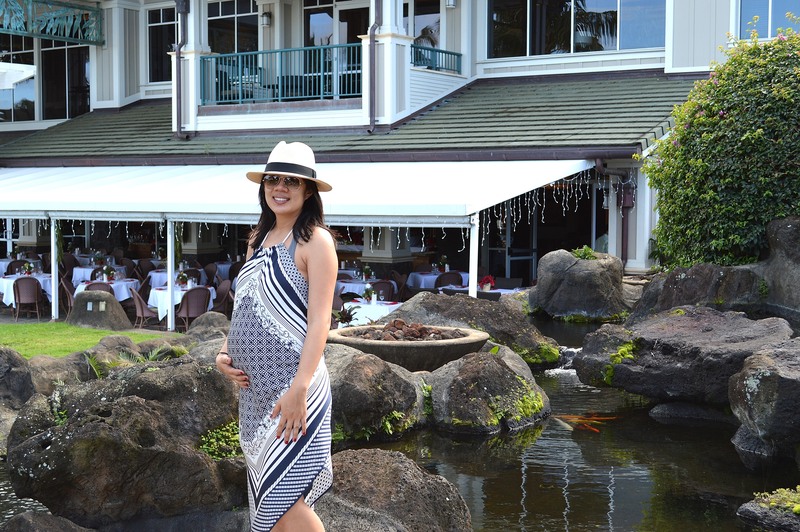 In the end, it was a very relaxing trip which was just what this mama-to-be ordered. 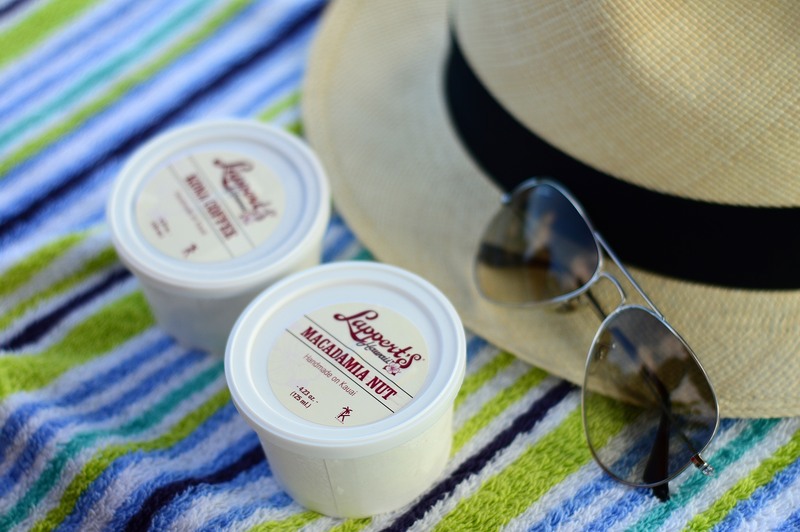 Almost every day you could find me lounging by the pool, snacking, taking a dip, rinse and repeat. There were a lot of couples who had a similar idea and we made a few friends along the way! Merry Christmas to you and yours! We are currently in Kauai and our first few days have been wonderful and relaxing. This baby mama wouldn’t have it any other way. This growing sweet little baby of ours is the best Christmas gift of all and we couldn’t be happier. We can’t wait to meet him soon. The above photo is not me (yet!) but I am hoping to take some of my own photos very soon. Today, we leave for a mini vacation to Kauai! 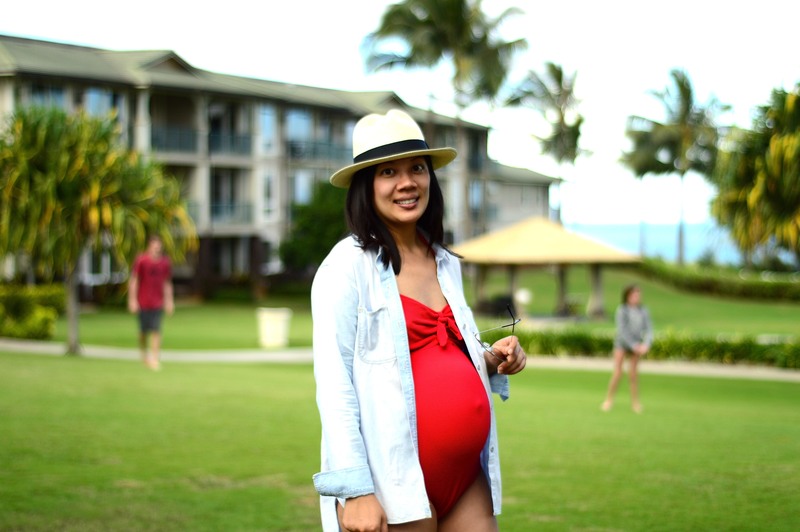 This year, we’ve decided to do something a little different for the holidays and instead of celebrating a traditional Christmas with family we are going on our babymoon. Given how busy we’ve been the last few weeks, setting up the nursery (photos to come), wrapping up work engagements, taking newborn classes, and getting ready for our niece to come visit next week, I can’t imagine us jetting off and taking a tropical vacation. Yet, things magically progressed nicely and next thing I know we’ve booked ourselves a trip. I’m really looking forward to this Hawaii trip. While you won’t see me surfing or hiking treacherous coastlines, you will find me swimming everyday, catching up on reading, and making a spa date or two for myself. And maybe squeezing in one little hike. Most importantly, the hubby and I are looking forward to spending some quality time together, especially before the madness begins in a couple of months. Happy Tuesday and sending lots of love over to you and your family this holiday!